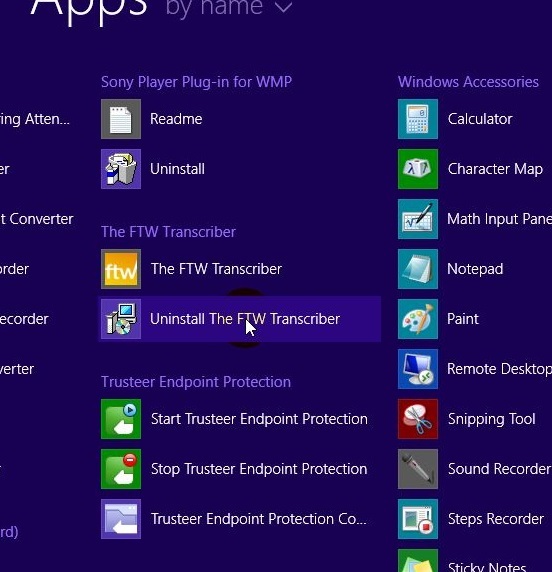 To uninstall the FTW Transcriber, go to Control Panel, Programs and Features (the exact wording may differ slightly depending on your version of Windows), find your list of installed programs, scroll to The FTW Transcriber, right-click on it, and click Uninstall, then follow the on-screen instructions. See the image below. 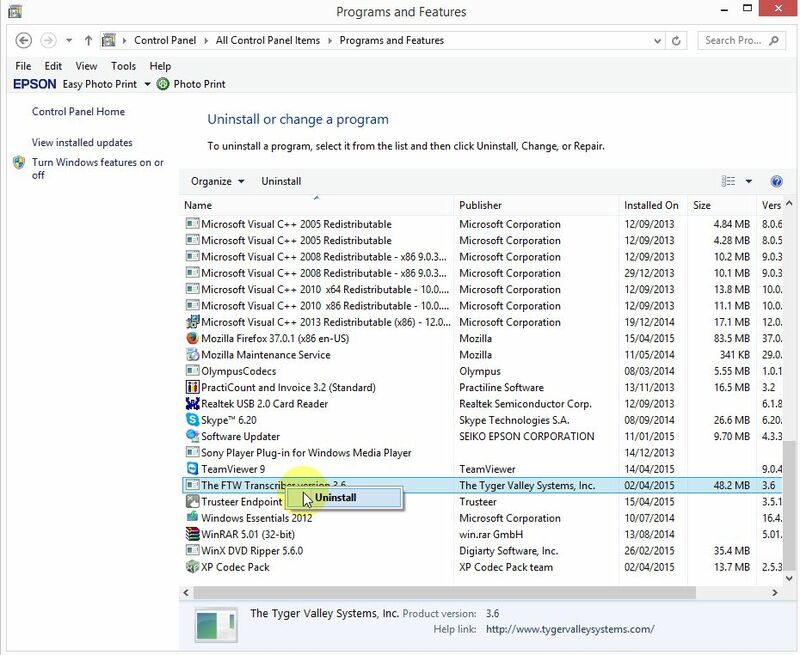 Alternatively, click the Windows key, then find your list of installed programs, then find The FTW Transcriber. There should be an “uninstall” option next to it. See the image below.